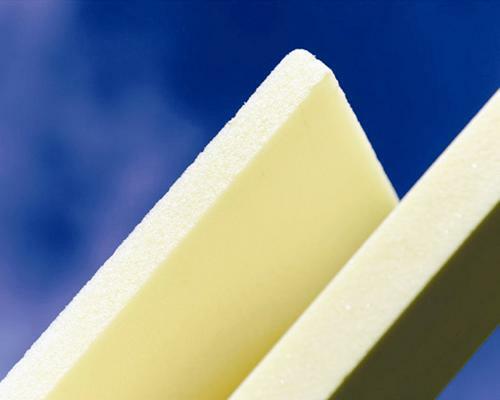 Cores in sandwich construction are specified by designers and architects to increase stiffness and reduce the weight of a composite structure. Corecell™ is the leading structural foam core material, which has become widely accepted for the construction of large, high performance structures. It is the latest in foam core technology and although originally developed for the marine industry, it is now used in other applications such as wind turbines and sub sea vessels. End Grain Balsa, a highly processed ultra light wood product, imparts impressive strength and stiffness to the sandwich panel. The end grain configuration of balsa provides high resistance to crushing, and is very difficult to tear apart. End grain balsa cored panels also have the ability to handle excessive dynamic loads with high resistance to fatigue. Nidacore laminate bulker available in 2mm and 3mm thickness. LIGHT TOUGH QUIET Nida-Core doesn’t just look good on the lab charts… it stands up to the tests of the real world. The wonderful thing about laboratories is that the results can be controlled by highly skilled lab technicians but out on the water, bumps and grinds are accidental. Building with Nida-Core assures you that your boat is built with material ready to handle all kinds of stresses. A core material with unique properties, Nida-Core Structural Honeycomb combines strength and resilience as well as excellent structure born sound damping.